With the constant influx of free-to-play MMORPG games many players and industry analysts have spelled doom for the world of pay-to-play but recent research suggests quite the opposite – pay-to-play is thriving. According to data gathered by SuperData recently a number of subscription-based MMO games are far from dieing, in fact they’re growing at a phenomenal rate. One of the focal games of this research was Zenimax Online Studios’ The Elder Scrolls Online. Members of the video-game press like few things more than writing doom and gloom stories for the latest releases but if this research is to be believed, The Elder Scrolls Online is here to stay. 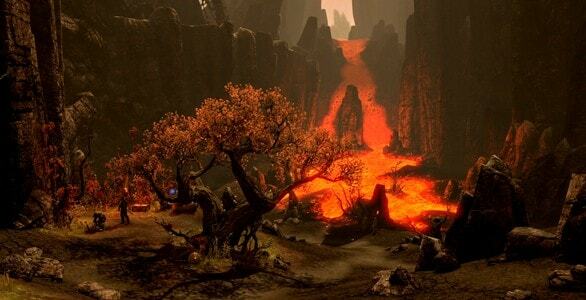 According to the data gathered The Elder Scrolls Online has managed to retain over 750,000 subscribers through to June, making it one of the most successful pay-to-play launches in recent years. World of Warcraft can still consider itself king of the subscription MMO but the likes of Lineage, The Lord of the Rings Online and EVE Online all enjoyed a hugely positive reaction from the published research.